Coffey Burlington, a Miami law firm, hosted a celebrity-filled fundraiser for Podari.Life on January 5, 2017. 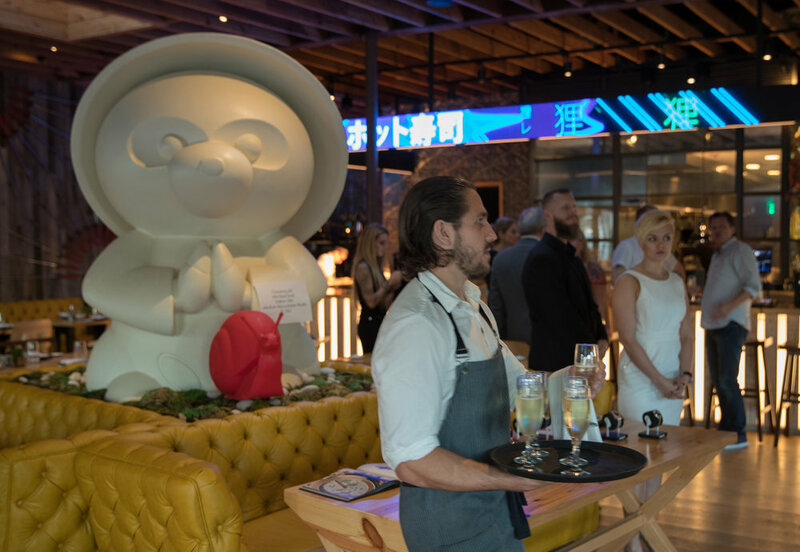 The elegant event took place at Tanuki Miami Restaurant, and donations went directly to Podari.Life. Top Russian celebrities like fashion designer Masha Tsigal attended the event, even presenting a heartfelt speech about the non-profit and how its mission impacts the lives of so many Russian children with cancer. Other prominent attendees include fashion designer Fabrice Tardieu, journalist Julia Bordovskikh, television producer Sergey Kalvarsky and the mayor of Bal Harbor Gabriel Groisman. Coffey Burlington sponsored the fundraiser, and leading U.S. lawyer Kendall Coffey spoke on the importance of Podari.Life’s mission to fight childhood cancer. He shares the non-profit’s belief that money should never be the measure of a child’s life. Mr. Coffey surprised guests with a lively ballroom dance performance by champion dancers Loreta Kriksciukaityte and Aleksandr Skarlato, leaving guests in awe. Coffey Burlington also organized an art auction for two beautiful pieces of work from Miami's Galleria Ca’ d’Oro. And Hublot displayed their luxury watches for guests to try on during the event. Both businesses donated a portion of proceeds to Podari.Life.